The Fantasia Aero fan is part of the Fantasia Elite Fans range and comes complete with an integral LED light & a remote control. The Fantasia Aero fans remote control system activates the light as well as controlling the 3 speeds of the fan. The Fantasia Aero can operate its 3 speeds in both forward & reverse mode (controlled by the remote control). Unlike most basic ceiling fans the Fantasia Aero can be set for reverse mode by pressing a button on the handset. Most standard fans require you to climb up to the fan and flick a switch, which can be awkward when installed in a high location such as a conservatory. 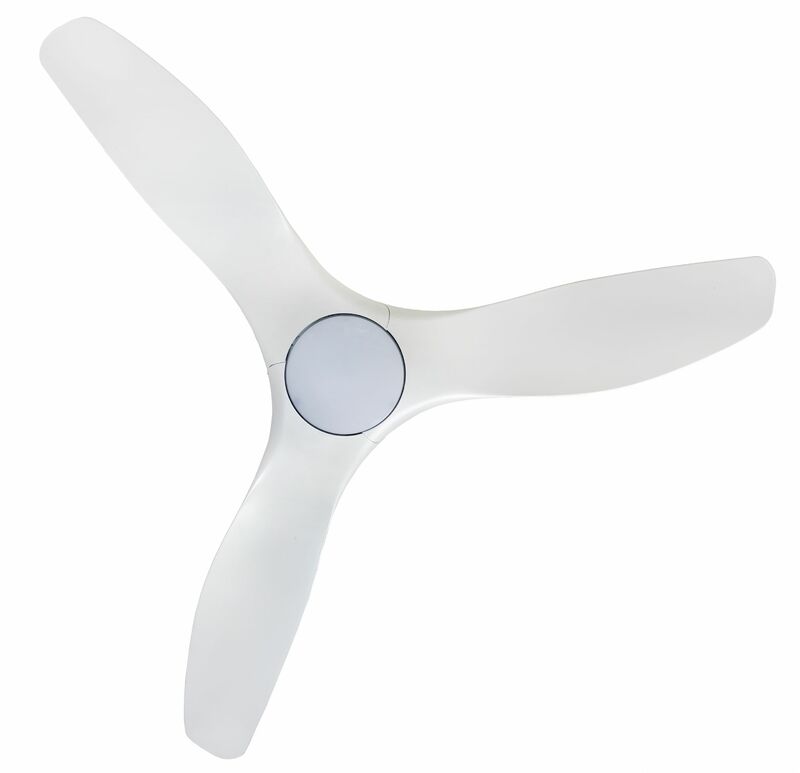 This particular Fantasia Aero Fan is finished in Matt White and has a blade turning circle diameter of 56 inches. Fantasia have designed the Aero fans blades in a shape that provides maximum air movement (8000 cubic feet per minute). The Aero fan features an aerodynamic design for efficient, quiet air movement. Full instructions are included in the packaging to help you during installation & Fantasia are always on hand should you need to ask any questions about the Aero fan. The Fantasia Aero fan's light is an 18W Warm White LED. This provides a good amount of light output. On this particular model of ceiling fan Fantasia have used their brand new low energy DC motor. This uses approximately 60% less energy than a normal equivalent model. The Fantasia Aero fan weighs 8.5KG which is great for installations in to wooden beams and metal structures. Complete with a 15 year Fantasia manufacturers motor warranty & a 2 year Fantasia Remote control warranty. There isn't many higher quality ceiling fans available than the Fantasia Aero Fan. Part of our whisper quiet range! Requested by us to be as silent as possible! This fans noise output measures between 40-45 decibels & has a suitable blade diameter to operate at a comfortable speed to allow maximum airflow with minimal noise. Ideal for bedrooms where minimal noise is a must. If whisper quiet operation is important then dont buy a cheaper alternative, purchase one of Lightahomes whisper quiet range!